Kelvin is joined by comedian Sam Hazelton. They talk about fighting birds, how sensitive Kelvin is, GG Allin, and regrets from their pasts. Sam also shares some music from his alias Big Paper and his classic stand-up comedy piece, The List. Nothing's Really Real is based out of Busan, South Korea. It is a podcast about art, comedy, music and ... whatever else. Kelvin is joined by musician Rob Chrisman for the first episode of Nothing's Really Real the podcast. They discuss drinking the feces of tortured chipmunks, music, and things they did in the past that they regret. Rob also performs a song live on the podcast. 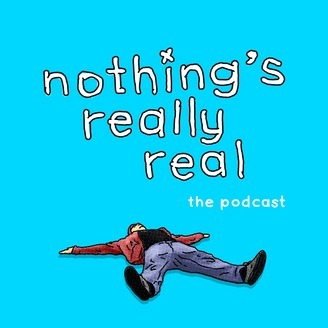 Nothing's Real Real is a podcast based out of Busan, South Korea. It is a podcast about art, comedy, music and ... whatever else.